Scalp micro pigmentation (SMP) is commonly referred to as a medical hairline tattoo. Some of the aftercare issues associated with tattoos are present after surgery-free SMP, namely fading. It is important, first of all, to determine whether you are experiencing mid-/post-treatment fading, or long-term fading. The former is expected and manageable. Long-term fading is far less common but can be more troublesome. Marketing hype from other practitioners has saddled many potential recipients of SMP with quite a few misconceptions. It is important to dispel these myths before you seriously consider the suitability (drawbacks and advantages) inherent in this unique non-surgical hair line restoration procedure. A false promise made by many of our competitors is that medical hairline tattoos do not fade. This is simply untrue. Here we will discuss the how and why of fading as well as what can be done to prevent and compensate for such an occurrence. We will first discuss mid and post treatment fading. Though safe and effective, the pigments used to restore the look of a full head of healthy hair follicles are foreign to human physiology. Therefore, there is typically a period of time after tattooing where the body will stimulate dermal regeneration. This can cause some of the ink to be pushed into the upper epidermis, which is replaced regularly (approximately every 27 days), causing some of the pigment to naturally shed with the skin in which the ink was stored. During and after this process, a recent tattoo (medical or otherwise) will appear slightly faded. However, as this is an expected eventuality, a skilled hair transplant specialist will be able to compensate for future fading during your non surgical hair restoration procedure. The most noticeable fade typically occurs within 1 month of receiving your medical hairline tattoo, but minor fading can continue for up to 1 year after. This is perfectly normal and subtle. However, if the fading negatively impacts your finished aesthetic, additional sessions can be arranged and, for some individuals, may be required. 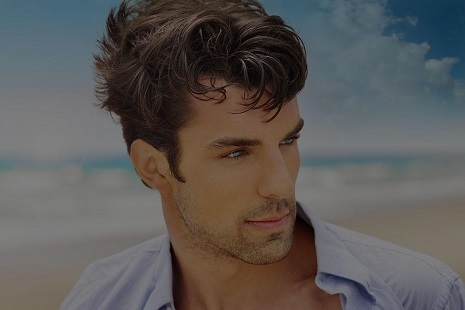 Long-term fading is classified as any noticeable fading in colour and crispness, occurring after the first anniversary of the completion of your surgery-free SMP hair restoration. The number one cause of long-term fading in medical hairline tattoos is exposure to the sun. Excessive UV exposure can cause premature and/or excessive fading also known as “sun bleaching”. To compensate, patients are advised to regularly apply sunscreen to the scalp before spending a significant amount of time in direct sunlight. Another contributing factor are topical lotions rich in alcohol like minoxidil or Rogaine, to name a few, should be avoided, as the high alcoholic content will “bleed” the pigmentation from the top dermal layers. No actual bleeding occurs. This term is used to describe the process by which pigmentation is drawn from the scalp by topical alcohol.